An experimental study on self-compacting concrete (SCC) having water cement content of 0.42 with the work involving in three types of mixes namely the first consisting of different percentages of fly ash (FA) mixed with concrete, secondly with different percentages of silica fume (SF) with self-compacting concrete testing for its engineering properties and thirdly using a mixture of Fly Ash with super plasticizer SP-430 for a notable variation in its strength characteristics, after the preparation of each mix cylindrical specimens are casted and cured for 7 & 28 days for testing its properties. Since the study involved is with self-compacting concrete, slump cone and V-funnel tests are carried out on the fresh SCC while concrete compressive & split tensile strength values are determined on hardened blocks as an engineering properties. It has been found that there is an increase in compressive strength of SCC with 20% addition of silica fumes to the concrete compared with 30% of fly ash for 28 days cured specimens & also the specimens containing super plasticizer with fly ash in the concrete will be strong & gives notable compressive & split tensile strength with good workability characteristics when compared to only fly ash & Silica fumes which has been mixed with self-compacting concrete. Keywords:Water cement ratio, fly ash & silica fumes, super plasticizer-SP 430, mix design, compressive & Split tensile strength.
. Zhengyue Ren, Lijiu Wang. Research of High Fly Ash Content in Concrete with Dippy Construction Formwork. International Workshop on Sustainable Development and Concrete Technology.
. Bentz DP, Snyder KA, Stutzman PE. The effect of Curing Conditions, Hydration of Portland cement. In: Presented at the 10th international congress chemistry of cement, vol. 2, Sweden, 1997.
. Salih Yazicioglu, Sinan Caliskan, Kazim Turk. Effect of curing conditions on the engineering properties of self-compacting concrete. Ind J Eng Mater Sci 2006;13:25–9.
. Ravikumar MS, Selvamony C, Kannan SU, Basil Gnanappa S. Behavior of self-compacted self-curing kiln ash concrete with various admixtures. ARPN J Eng Appl Sci 2009.
. Mehta, P. K., “Concrete Structure: Properties and Materials”, Prentice~Hall, pp. 367-378, 1986, Neville, A. M., “Properties of Concrete”, 4th ed., Longman Group, pp. 757-758, 1986. ¿The construction of the new International Airport in Mexico City (NAICDMX) will cause irreversible environmental impact?, ¿Dried in the Lake Nabor Carrillo to avoid the presence of migratory birds?, ¿What will happen with the vegetation that exists in that place?, ¿What consequences will have its construction?, Answers to questions like these give rise to the next article where will be displayed using satellite images for remote sensing the change that over four years of construction of the new International Airport in Mexico City has caused to the environment. For the study will be used Landsat imagery and Sentinel through a spatial-temporal analysis will show the change in temperature of the affected area, with the NDVI (Index of Natural Vegetation) will analyze the quality and quantity of vegetation along with a MNDWI (Index of water saturation) which will allow us to show the change in bodies of water ending with virtual combinations which will show important properties.
. Heat Islands in México City: A Perspective from Remote Sensing Satellite Images, Author: Fernando Mireles Arellano, Amanda Oralia Gómez González, Carlos Hernández López; International Journal of Latest Research in Engineering & Technology (IJLRET) (ISSN: 2454-5031).
. Amanda Oralia Gómez González, Fernando Amir Espinoza Acuña, Carolina Coronado Alderete and Frida Ximena Jimenez Law (2017). Qgis Manual focused on Tele-Epidemiologia. First Edition, Mexico City. Many developing countries like Ethiopia are yet to achieve universal electricity access for their citizens. Access to affordable and reliable electricity plays a critical role in economic development, employment creation and investment. Adequate and sound policies on energy regulation are needed for the achievement of sustainable development goals. To ensure that the citizens are electrified sustainably, efficient, and elective policy frameworks are worth putting into consideration. Although there are different energy sources in Ethiopia which can be used to generate electricity such as solar, wind, hydroelectric, geothermal, biogas only hydroelectric is used to supply to the national as well as regional demands. Geospatial is widly applicable in the energy sector in resource planning, inspection, maintenance, design and constraction. Geospatial technology improves efficiency in energy sector and brings more efficient design and construct, better stakeholder communication and engagement, beduced outages by identifying critical faults, more efficient maintenance with more detailed asset knowledge, betailed record of easements and lines for maintenance planning, increase transmission capacity by knowing loading on every span, andcorporate GIS provides day-to-day efficiencies to all stakeholders. Since geographic information systems methodology has proved to be applicable in the energy sector in Ethiopia for informing the electrification strategies in the country, there is a great need for the country to invest heavily on it. As the country is committed to transforming the whole energy sector to provide reliable and adequate electricity to all, then empowering the geospatial technology within the country should be part of the plan.
. Alhamwi, A., Medjroubi, W., Vogt, T. and Agent, C., 2017. GIS-based urban energy systems models and tools: Introducing a model for the optimization of flexibilization technologies in urban areas. Applied energy, 191, pp.1-9.
. Back, S., Kranzer, S.B., Heistracher, T.J. and Lampoltshammer, T.J., 2014, March. Bridging SCADA systems and GI systems. In 2014 IEEE World Forum on the Internet of Things (WF-IoT) (pp. 41-44). IEEE.
. Bianco, C., Cucchietti, F. and Griffin, G., 2007, September. Energy consumption trends in the next generation access network—a telco perspective. In INTELEC 07-29th International Telecommunications Energy Conference (pp. 737-742). IEEE.
. Blaschke, T., Biberacher, M., Gadocha, S. and Schardinger, I., 2013. ‗Energy landscapes‘: Meeting energy demands and human aspirations. biomass and bioenergy, 55, pp.3-16.
. Calvert, K., Pearce, J.M. and Mabee, W.E., 2013. Toward renewable energy geo-information infrastructures: Applications of GIScience and remote sensing that build institutional capacity. Renewable and sustainable energy reviews, 18, pp.416-429. Today, morethan one million people worldwide use GIS for thousands of different purposes, while the use of modern geospatial information for our daily use is still in its infant stage in Ethiopia. By combining geographic information with descriptive information you will be able to view the business information from a completely new perspective. The Geospatial Platform can effectively support problem solving and policy formulation for the complex issues facing our Nation. Issues and events that affect the economy, employment, the environment, public health and welfare, security, and quality of life will benefit from the decision support tools, shared applications, visualization, and trusted geospatial data made available through the Geospatial Platform.Whether one country is implementing geospatial information system for the first time or not it is very important to define its national geospatial governance and architecture for its national geospatial platform. Defining business and technological architectures for the national geospatial platform will enable participatory information sharing, interoperability, user-centered design, and collaboration.. Therefore, defining appropriate business architecture for national geospatial platform for Ethiopia has never been more important than now, as government agencies start to invest significant resources in geospatial data, services, technology, and expertiseto support their daily business operations. This study paper offers business architecture for the national geospatial platform of Ethiopia based on the definedgeospatial enterprise architectural principles and national governance stratures.
. Abraham Belay, Shanjun Mao, Mei Li (2017). Adaptive geospatial governance model for Ethiopia, IJournal Volume 6, ISSN:2347-9698.
. Abraham Belay, Shanjun Mao, Mei Li (2018). 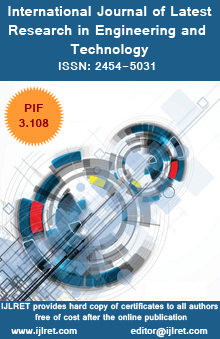 Geospatial enterprise architecture principles for Ethiopia, International Journal of Recent Engineering Research and Development IJRERD Volume 03, ISSN:2455-8761, PP 01-23.
. FCIOC and FGDC (2006). Federal enterprise architecture Geospatial profile, architecture and infrastructure committee, version 1.1.
. FGDC (2012). Business plan for geospatial platform, http://www.fgdc.gov.
. Paul A. Longley, Michael F. Goodchild, David J. Maguire, David W. Rhind (2015). Geographic Information scinece and systems, fourth edition. With the explosive growth of computer programs and data, it becomes difficult to analyze large amounts of code and complex structures by manpower alone, and it is necessary to slice the program. Based on the classical slicing technique, this paper proposes an improved pointer analysis program slicing method. Firstly, the data dependency and control dependencies of the program are built. Secondly, the constructed dependencies are analyzed by pointers. The set of variables that the pointer may point to at runtime is counted. Finally, the Calpointer algorithm is used to implement the program slice. Experimental results show that pointer analysis reduces code size, reduces program slicing time, and improves slice efficiency and accuracy. Xu Chenchen. Research on static program slicing method based on LLVM [D]. Nanjing University of Posts and Telecommunications, 2017. WANG Hong-da,XING Jian-chun,SONG Wei,YANG Qi-liang.Static BPEL program slicing based on program dependency graph[J].journal of Computer Applications,2012,32(08):2338-2341. Xu Manqing. Unreachable path detection method based on program slice and symbol execution [D]. Nanjing University of Posts and Telecommunications, 2016. Hao Jie. A program slicing diagram construction method with exception handling structure [J]. Volkswagen Technology, 2012, 14 (02): 18-20. Yao Jiabao. A program slicing method based on information flow analysis [D]. Jilin University, 2013.